Jeremy Scott is well known for his hyper mish mosh of cultural references when it comes to his collections for Moschino and he did not disappoint at the Men’s S/S 17 show. Set in downtown LA on the first day of Pride weekend, the show was open to the public and the crowd was a colorful collage of Scott’s eponymous line, Moschino and his various collaborations. The collection featured models River Viiperi and newbies Anwar Hadid, yes Gigi and Bella’s little brother, and Presley Gerber son of super model Cindy Crawford. 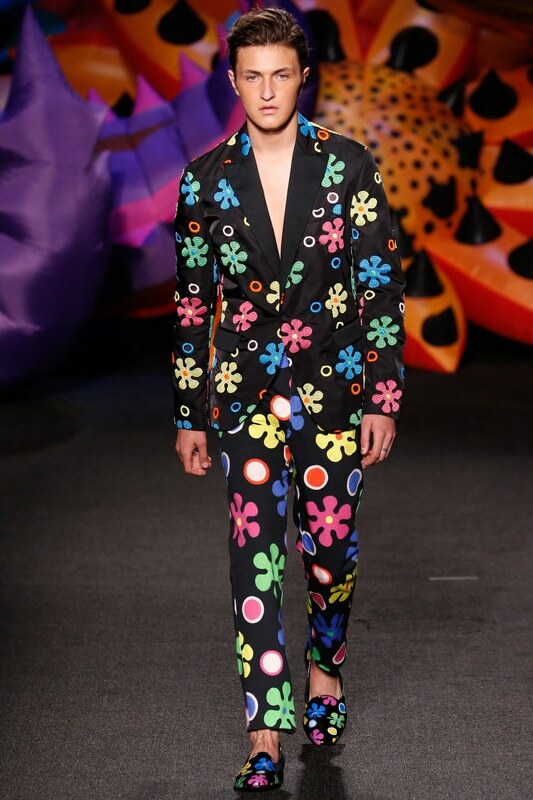 Scott showed a playful mixture of South American reference and the psychedelic 60’s. 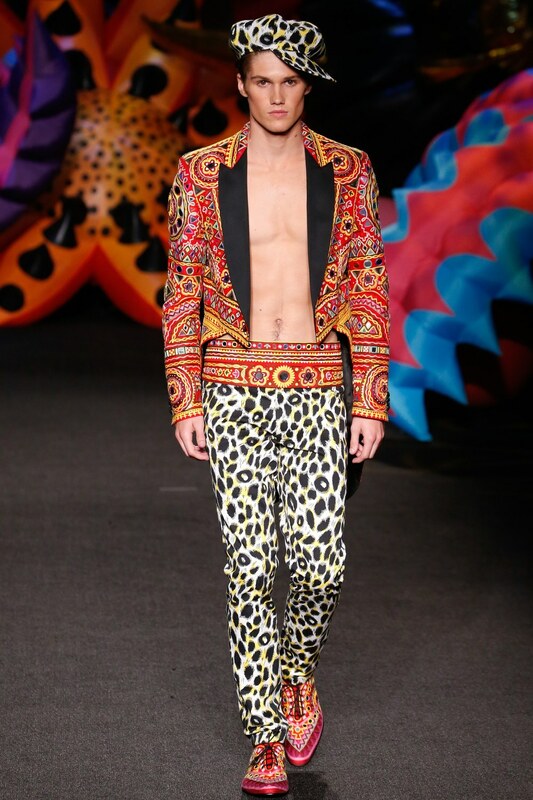 A South American embellished bomber jacket worn with matching speedo and slippers set the tone of the collection and included a tuxedo look with Cheetah print trousers. A crochet hoodie worn with tie-dye shorts and pom-pom accented sandals is a beach ready look for any die hard Scott fan. Hadid donned a trippy floral tuxedo that would make Austin Powers proud. While Scott might be known as the reigning king of kitsch, one can note that his references have become more thoughtful thus evolving his aesthetic for the storied Italian brand. A few thoughts on Demna Gvasalia and Balenciaga.